Standing at the start, the hand of the organizer on your shoulder and you just being so nervous that you think you would rather go home. The situation, I experienced 5 whole times last week. And every time I thought: Just do it, it will be fun and you will be happy in the finish ;) And it was once again so worth it! I guess it was the greatest competition week ever for me. So many unexpected things, great people and a special but very cool party in Splash and Spa to end the week! It was the second home championship for me after the Junior World Champs in Scuol two years ago. And it was again great to run between all the Swiss guys cheering for us. But it was the first senior championship for me. I had to learn, that I am again the youngest on the team and that I can learn a lot from the others. At the beginning the whole surroundings were different from what I was used to and I was actually looking for the juniors the first day, until I realized that this is not a junior competition anymore ;) Everything is bigger here and maybe also a bit more serious. I didn't have any result goals for this week as I had pretty much no idea where I stand. I just wanted to be happy in the finish and enjoy the atmosphere and the race and to gain experience for my real step into the senior category next year. And it was so cool, I totally achieved my goals as I always enjoyed my race, and always came to the finish with a smile (except for the Sprint Final where I was totally dead but also happy that I was in the finish). So many trainingcamps in Ticino during the winter, now we could finally show what we trained for! But as I like forest disciplines much more than Sprint, I was already looking forward to the Middle Distance Qualification on Tuesday and hopefully the Final on Wednesday. So my heart almost stopped when I already made one mistake to the first control at the qualification race. And after the second bigger mistake, I just kept on fighting because I thought that everyone would make mistakes in this terrain. And luckily, I was right and my performance was enough for the 8th spot in my heat and therefore enough to qualify! I was so happy to be able to run in the special terrain of the final. And the final race started great! I had a very good feeling in the beginning of the race even though there was a small mistake to the 2nd control. Until the 2min mistake to control 9 happened. I climbed to much and that resulted in passing one additional stream. I knew that I should pass one stream and then there should be my control. But it wasn't there and I began to relocate myself without success. Until I dared pass also the second stream with the idea that there could have been one stream that isn't on the map. And the control was there. With the hope that everyone can make mistakes, I continued fighting until the end. Which was again totally worth it as I could sit on the leaders chair for a pretty long time. More and more I realized that my race was really good except the mistake and that it could be another diploma! When it was clear that it would be even the bronze medal (first I couldn't be happy about it because of Julia being disqualified and me earning the bronze medal), I couldn't believe it. 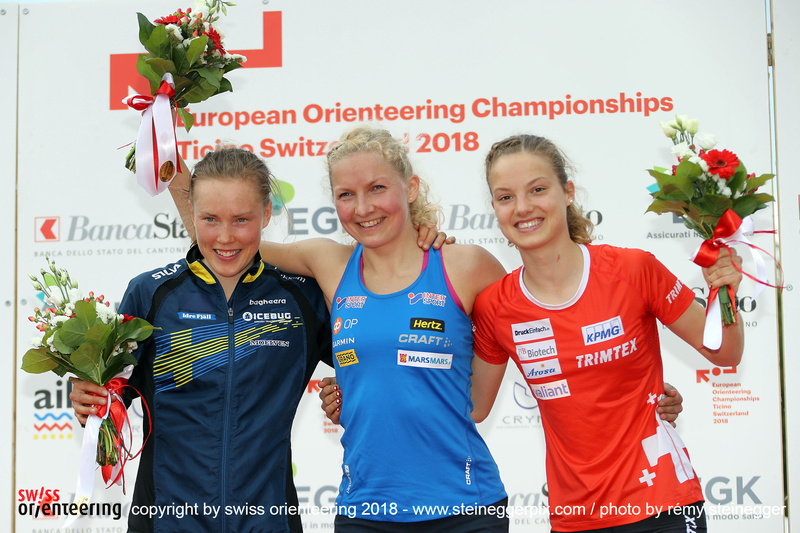 It was only November when I wrote on my long-term goals sheet, that I would like to win a medal in an EOC or WOC in approximately three years. 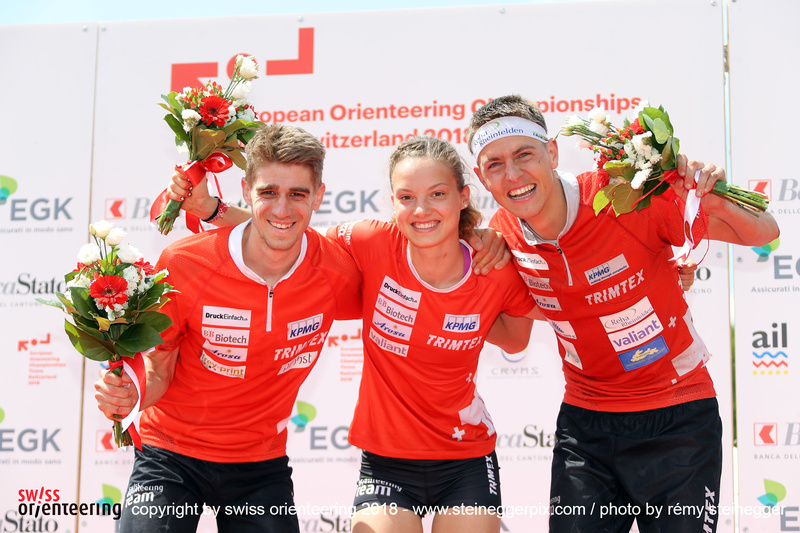 Well, already achieved one of them now… Strange but such a good feeling to stand next to top orienteers on the podium! And then the relay to end the week. 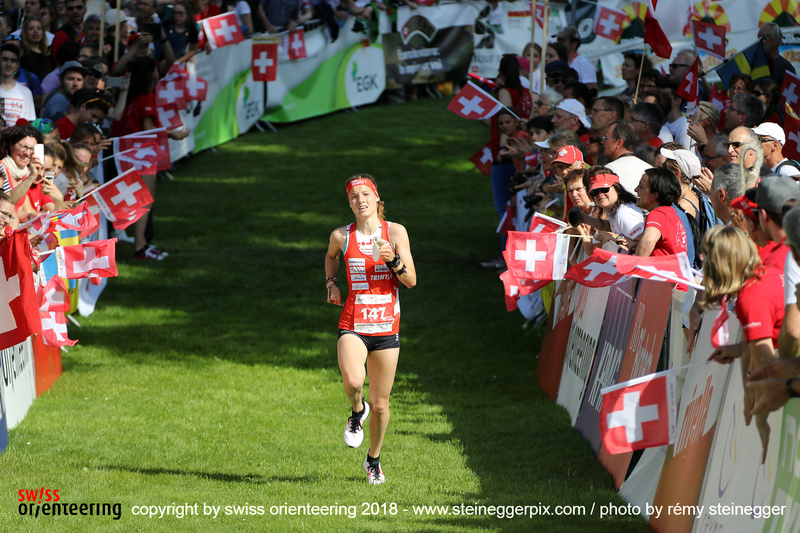 I ran the 2nd leg in the 2nd team Switzerland together with Paula Gross (1st leg) and Sarina Jenzer (3rd leg). 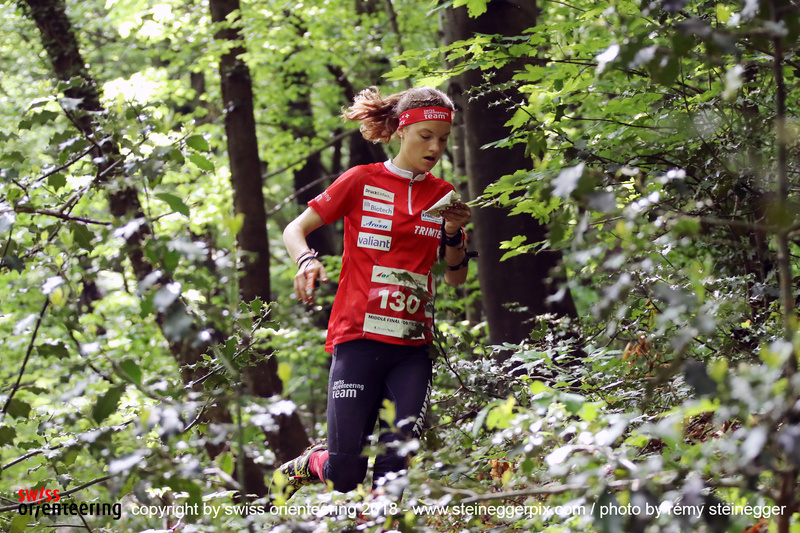 When Paula came back just 30 seconds behind the leader Judith from our first team, I got quite nervous. And when I met Elena at the 5th control, I knew that we would push each other until the end. First it was her who ran really fast, then it was me who had the fresher legs in the end. So nice to run in the front, together with a team mate, but sad to know, that only one team would count and be in the results afterwards. And amazing to hand over to Sarina in leading position! Julia showed a very strong last leg, so Switzerland 1 took the gold medal, we got second. But as only the better team of one nation counts, we didn't get the medal, the ceremony, unfortunately no team picture…. But we got the great feeling to be able to run on top of an EOC Relay and all the Swiss Fans cheering for us! And that’s a great experience. And in our heart, we are definitely Vice European Champions! Such a great week with so many emotions, experiences, much more than I've ever dreamt of. I am looking forward to more amazing experiences with this team, can't wait!!! But first, let's prepare my exams for university with a lot of practice for dancing and athletics as I have to catch up with the learning matter, and then my last JWOC in Hungary! Thanks so much to the whole team for the great spirit, it's an honour to be part of such a strong team, to all the guys who were cheering, the great organisation of EOC 2018, the support of my sponsors and supporters, the coaches, friends supporting me from home watching TV, the great hotel crew and everyone I've missed to mention!